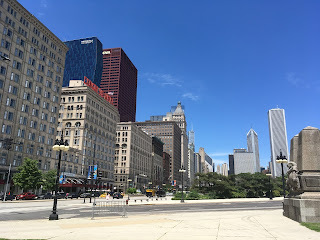 In mid-June I spent a few days in Chicago, and as always I thought I’d look for a college to visit. 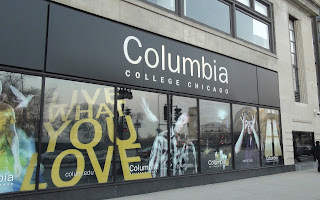 I didn’t have to look far–in fact, the admissions office for Columbia College was LITERALLY right next to my hotel! I stopped by for a tour and informational meeting with a member of the Admissions team and I’m glad that I did–Columbia strikes me as a “hidden gem” for creative, confident students who are interested in pursuing studies in the arts with an eye towards becoming professionals, either creatively or on the business side of things. Columbia College’s downtown, South Loop location in Chicago is as urban a campus as you’ll find, so it’s not for “country mouse” students, but for people looking at a city school, this is a great option. I recommend adding it to your list of possibilities. Size: Just over 8,600 undergraduates (approximately 58% women/ 42% men). 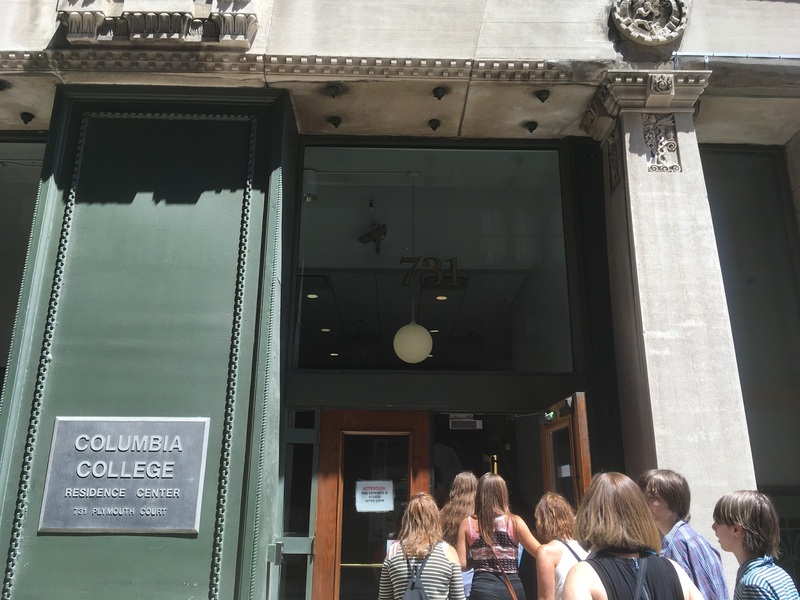 Columbia College is less selective, having accepted about 7,300 of their 8,300 applicants to fill a first-year class of 1,550– an overall acceptance rate of around 89%(including transfers). Programs of Study: 99 majors and 46 minors for undergraduates; Columbia College is a pre-professional institution that prepares students to enter creative professions (as performers, creators, managers and anything in between). Sports: No NCAA or NAIA sports, but there are some intramural teams. Campus Life: Over 100 clubs and organizations on campus; no fraternities or sororities. On campus housing is NOT guaranteed so first year students desiring campus housing will want to pay their deposits as early as possible. Chicago is America’s third largest city and offers a wide range of neighborhoods to live in, all connected by an excellent public transport system. Approximately 68% of students live in campus housing. Costs & Aid: Tuition, room & board and fees total just about $37,800 (depending on housing and meal plan options). Parents need to fill out the FAFSA (Free Application for Federal Student Aid). Deadlines: Columbia College uses Rolling Admissions, with a priority deadline for scholarships of January 15th. Students use the Common App or Columbia College’s own application. The application fee is a remarkably affordable $35. Tests: Columbia College is test-optional, so students do not need to send ACT or SAT scores if the tests don’t show them at their best. Columbia College Chicago traces its history back to the Columbian Exposition (World’s Fair) of 1893 when it began as a school to train public speakers. The performative aspect of the school’s function has never gone away, and now Columbia College is a liberal arts institution with a focus on creative disciplines. Located in the South Loop of Chicago (mere blocks from the Art Institute, Millennium Park and other tourist destinations) the college serves over 8,600 students. The School of Liberal Arts and Sciences houses “traditional” departments such as English and History, but the majority of students major in the School of Fine and Performing Arts or in the School of Media Arts. According to the federal government’s College Scorecard, 64% of students are in Visual and Performing Arts, with another 13% in Business, Management and related fields. Noteworthy programs include Comedy Studies, where students devote a full semester to study performance, writing and improv at Second City. One of the tour guides when I was there was a poised, together, funny young woman who was a rising senior majoring in comedy and management and was probably pretty representative of Columbia College students. Columbia College prides itself on its faculty, and that they are all “active in their industries”. There are a good number of full-time faculty members at the college, but the number of part time instructors is remarkable; for instance, in Dance there are 6 full-time professors, 2 full time lecturers and 42 part time instructors. Obviously this means that students won’t have trouble finding someone to work with and to mentor them, but it does make one wonder if there is a qualitative difference in the instruction received. I was later told that most departments have a ratio of 70% permanent faculty and 30% adjunct, but obviously this varies by discipline. Columbia College appears to be a very welcoming, diverse campus. Among other examples, they offer “Gender Inclusive Housing”, which “welcomes students across all gender identities and/or expressions, including transgender, questioning, or gender non-conforming students.” The college is also relatively diverse economically and ethnically; according to the College Scorecard, 38% of Columbia College’s students come from families that earn less than $40,000–that is a large number (compared to, say, University of Chicago which comes up at 12% or Northwestern University, which has 14% of students from low-income families). 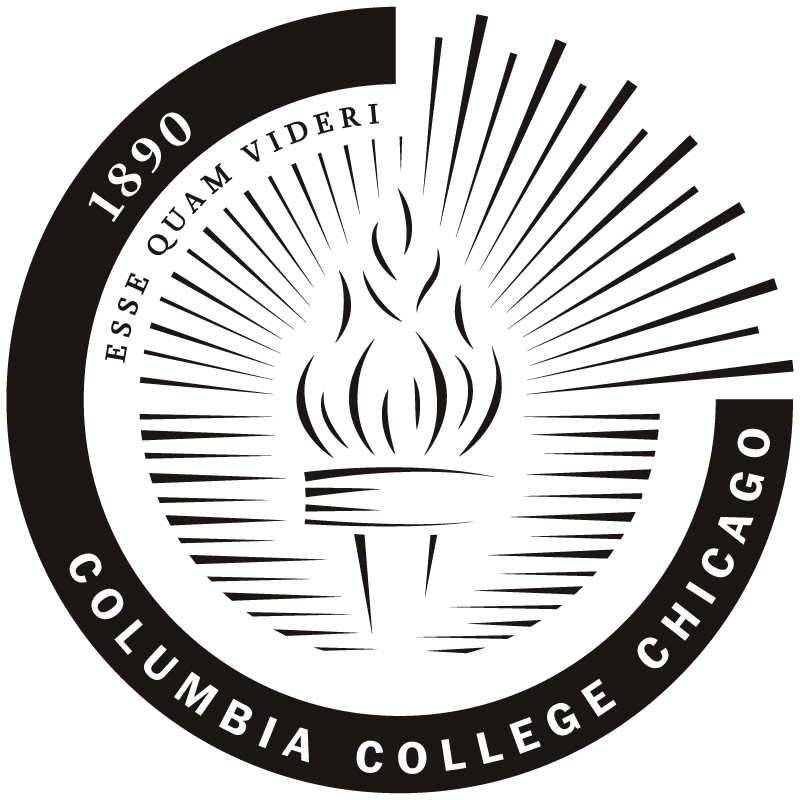 26% of Columbia College students are Black or Hispanic, compared to 14% at U of Chicago and 17% at Northwestern. 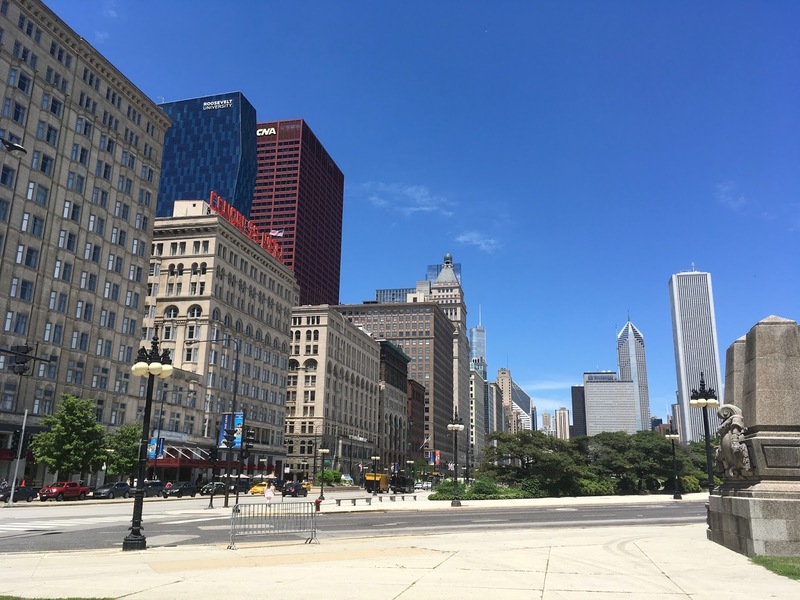 The campus is about as urban as it gets–spread across a rectangle about 8 blocks long by 6 blocks wide between S. Michigan Avenue and S. Clark St. The area is full of bus stops and elevated train stations, and Columbia College students can get a U-Pass from the Chicago Transit Authority that gives free, unlimited rides on public transportation. Whenever I go to a city I always use the public transportation and in my (limited) experience, Chicago’s buses and trains are some of the best in the country. Around the time of my visit, Chicago’s mayor wrote an article in the New York Times explaining why, and the answer boils down to spending money to keep the system healthy. That said, there is no “campus” per se, and while the area is well policed (due in no small part to the thousands of tourists staying in nearby hotels) and according to my tour guide was in “the safest section of Chicago”, this is definitely for students who are mature and streetwise, or who aren’t afraid of becoming so quickly. That said, the architecture is really lovely in this part of the city, and Lake Michigan is literally a short walk away; for students actively interested in city living, Columbia College should definitely go on the short list. Dormitory choices include traditional dorms, loft apartments and suites in several buildings throughout the neighborhood. One interesting living option is the University Center, a large building that has housing (on separate floors) for Columbia College, Roosevelt University, DePaul University and Robert Morris (IL) students. It also holds the dining hall for campus residents who opt for a meal plan. While these schools do not have a traditional consortium (such as the Five College Consortium in Massachusetts) I was told that students can take a class for their major at another nearby institution. Academically, Columbia College is rigorous and demanding. All students must take core courses in the School of Liberal Arts and Sciences, including English composition, college-level math, science, social science, history, and literature, along with an “oral communication” course. While some students rush to complete these requirements, most students spread them across their four years. First year students take a seminar to learn “how to use the city as a tool for learning”, and the choices are all incredibly interesting sounding! All students also must complete a capstone project to graduate–most of these are presented during the “Manifest” festival every spring. A glance at this year’s listings shows the variety of projects undertaken at Columbia College. Admissions-wise, Columbia College accepts the vast majority of applicants, but I suspect that this is partly due to the self-selecting nature of the applicant pool (creative people seeking a career in the arts) more than being “easy”. Standardized test scores are optional, but students who have a portfolio of their creative works are encouraged to submit it. According to the admissions representative to whom I spoke a great deal of attention is paid to the students’ application essays (whether students use the Common Application or Columbia College’s own application, the prompts are the same). Columbia College has rolling admissions, which means that while there is no fixed deadline, students would be wise to apply earlier in the cycle while the most spaces are still open–I would suggest that they aim to apply by the end of November to get a decision by Christmas. The admissions team member told me that the “typical” student was “hands-on, minds on” and who embraces (and is good at) learning collaboratively. They seek “self-directed” students who are “progressive thinkers” who have “mastered both academic and creative writing” and are “ready to roll up their sleeves and start as first-years”. They especially seek students who have taken AP courses or were in dual degree programs. 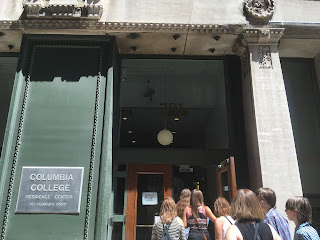 Perhaps as a consequence of seeking students who are so mature, Columbia College accepts a LOT of transfer students every year (815 last year compared to about 1,800 first year students). Columbia could be a GREAT option for your artsy students who are dissatisfied with their current colleges and are looking for a change. Since I started working for Method Test Prep in 2015 college visits have been a bit different for me–instead of having a number of active students in mind to “shop for”, I find that I look at colleges through a much more “general interest” point of view. While the students at the schools where I previously taught were predisposed to apply to much more selective institutions, it’s important to remember that, as Jon Boeckenstedt of DePaul University notes, selectivity is more of an “input” measurement (related to the number of applicants) than any indication of quality. And the vast majority of college students in America attend institutions with admissions profiles closer to Columbia College Chicago’s than, say, Stanford’s. So I have enjoyed visiting less selective schools and seeing just how passionate the students, faculty and staffs are about the work that they do. 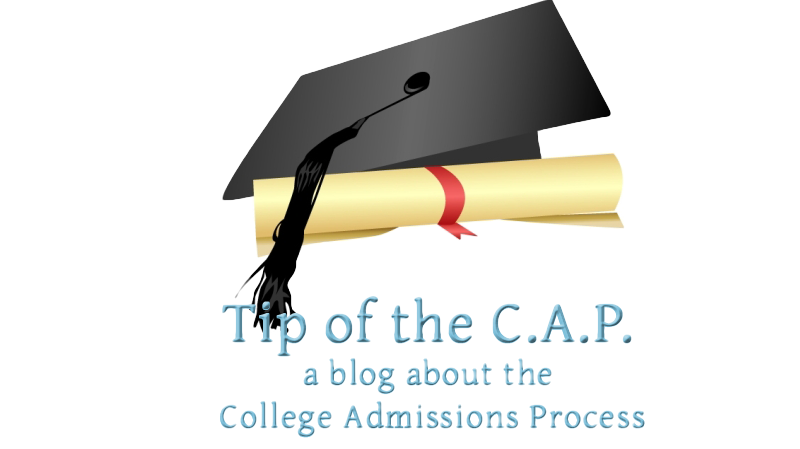 If you profess to value “fit” in the admissions process, looking at these kinds of colleges and universities could be an eye-opener for you and your students. 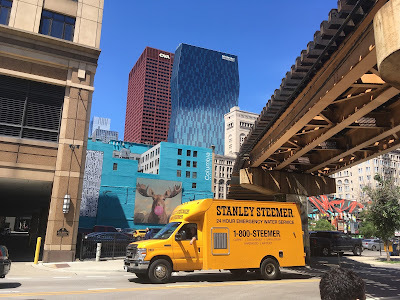 While I don’t think that Columbia College Chicago is for everyone (the would-be engineer, doctor, or Wall Street Master of the Universe might look elsewhere), for students interested in a career in a creative field, this could be a great choice. Certainly the performance, exhibition and internship opportunities in America’s third-largest city are nearly limitless as is the chance to build a meaningful personal Rolodex for future career opportunities. If you find yourself in downtown Chicago, do yourself a favor and pay a visit to Columbia College–I think you will be quite impressed.